With Christmas and Halloween candy still looming in our house, I decided that Valentine’s Day would not be a day of us sending more candy with the kids to school. Of course, we will still got a ton, but we don’t want to add to anybody else’s candy craziness. I know that by February, the school supplies are starting to dwindle, so I picked up some fun and vibrant pencils (I went with better quality pencils, too, which you can purchase on Amazon) and got to designing and cutting. Don’t get cheap pencils with bad erasers that break easily. 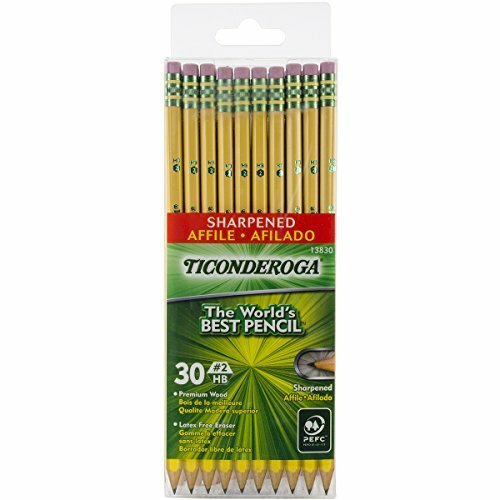 Get the pencils that sharpen well and that kids are able to use until the pencil is gone. Trust me, the kids and the teachers will thank you! I started with an arrow and heart design which I purchased in the Silhouette store as a print and cut file, and then modified it to the wording and colors I liked (I still don’t know how to create the scalloped edges and it was worth the time to start with that part created). The cut marks were already there, so I was able to change the wording, colors and fonts to something that was more us and we were quite pleased with the results. I then printed with registration marks, and then ran through my Silhouette which cut the scalloped edges and the lines in which to slide the pencils. The Silhouette really has made life a lot easier for crafts like this. I knocked out an entire class set of Valentines in just a few minutes. Not only can you print and cut, but you can cut vinyl, cut out heat transfer vinyl for fabrics, cut out stencils for canvas and more. 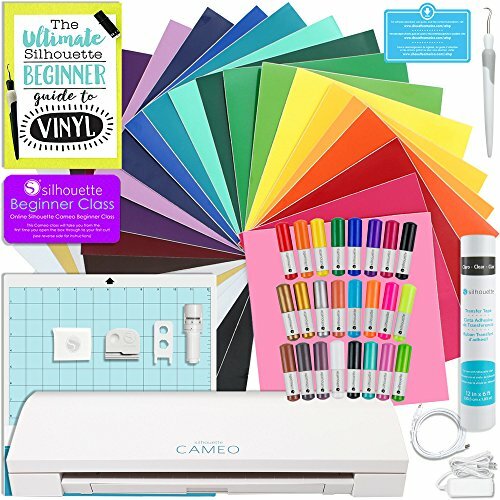 I highly recommend grabbing this starter kit as it comes with great vinyl and all of the other tools you need. The end results are super cute, functional, usable and won’t go home with a calorie count on it! If you don’t have a Silhouette, you could easily draw this and make photocopies, making it super cute and very custom, or if you are handy, design something in photoshop. Either way, you will have great results. However, every day, I’m finding uses for my Silhouette machine and it’s already proved it’s value and I’ve got even more ideas swimming, so if you don’t have one, I’d highly consider getting one (this isn’t sponsored, just sharing my love). Will you be creating Valentine’s this year? These are adorable and creative. Great job! Super cute! I love non-candy prizes, especially for younger kids that shouldn’t/can’t have so much candy! Very Cute! – love your colour choices.